LUGOGO – On Saturday, the second edition of the Kampala Premier Tennis League will conclude at Lugogo Tennis Complex. Only Trademark Kinetic, Lugogo Boys, Trailblazers and defending champions Titans remain out of the six that started the season. 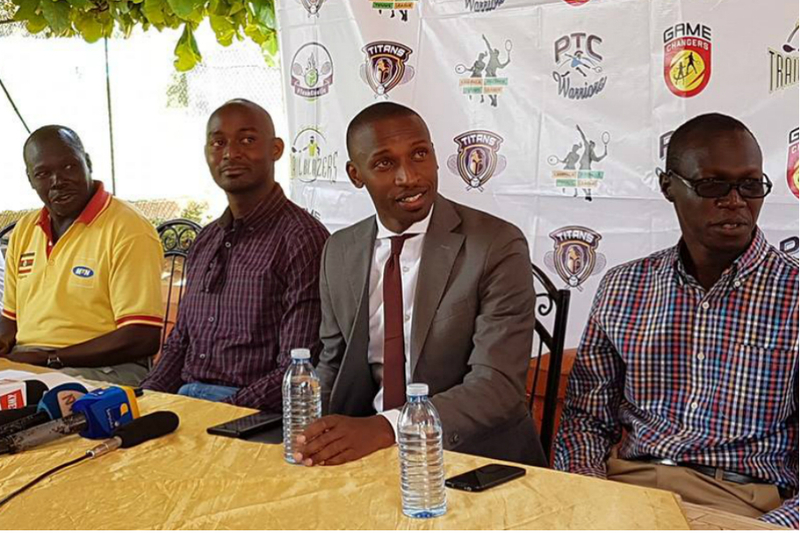 Speaking to the press ahead of the final day of the tournament, Simon Bashasha, the Chairman of the Kampala Premier Tennis League highlighted the achievements. “This is the second edition of the tournament and we have seen increased activity in the Tennis and we are proud,” said Bashasha, who is also a player with Titans. “We have given opportunities to young players to compete and Lugogo Boys is such a team with a bunch of young players who have been able to develop,” he added. Trailblazers will battle Titans as underdogs Lugogo Boys will be looking to knock out Trademark Kinetic for a place in the finals. The league has attracted players from Kenya, Rwanda and Europe as well as renowned local players as David Oringa.